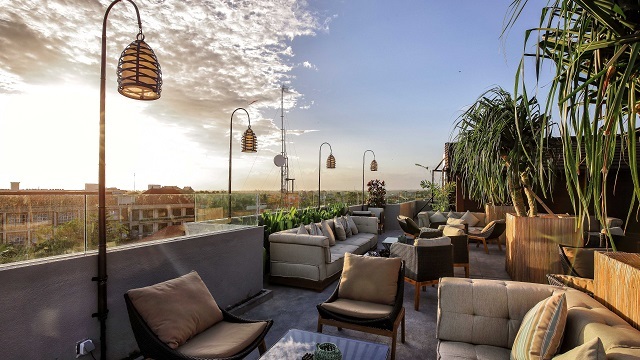 A complete guide to the 8 best rooftop bars in Bali in 2019. 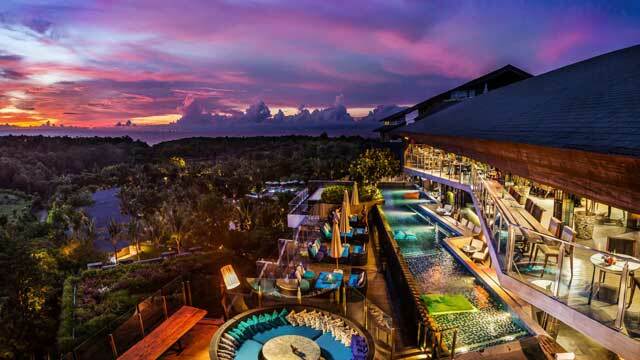 There are definitely no skyscrapers in sight, but instead natural scenic views from the best Bali rooftop bars. For starters: Which are the best rooftops in Bali? Leave the beach behind for a while and find your perfect spot with the ultimate guide to the best roof terrace on this beautiful island. 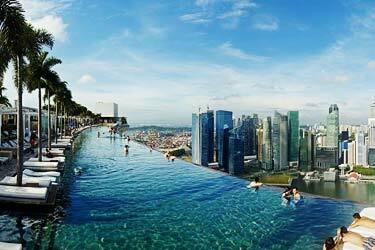 Here you'll find with all info you need about each rooftop. Opening hours, dress code, pictures, maps and much more. You might ask, which is the best rooftop bar in Bali? 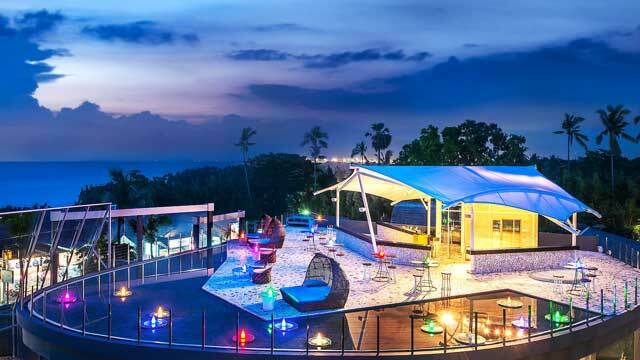 Just scroll down and find the Bali rooftop bar best suited for you. Or use the Bali rooftop map in the bottom right corner. 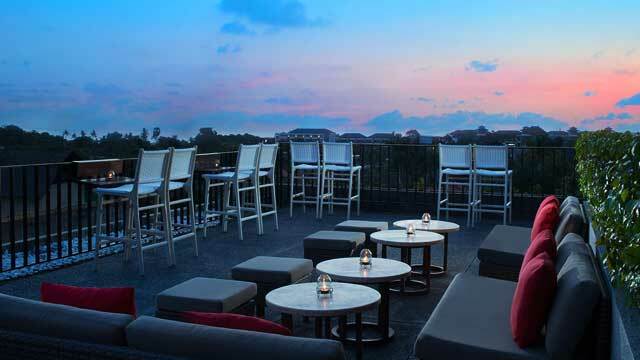 A sleek and modern rooftop bar located on the roof of L Hotel and Resort right in the heart of Seminyak. Sort of a rooftop-extension of the highly popular GROW Restaurant on the ground floor. And while GROW UP is more focused on unique and exciting signature cocktails and is a perfect pre- or post dinner lounge, there is also a set of delicious bar bites up here. The terrace is nicely furnished with comfortable lounge chairs and has a playful warm and urban feel. Add a gorgeous sunset, friendly service and a chic but still laid-back vibe. 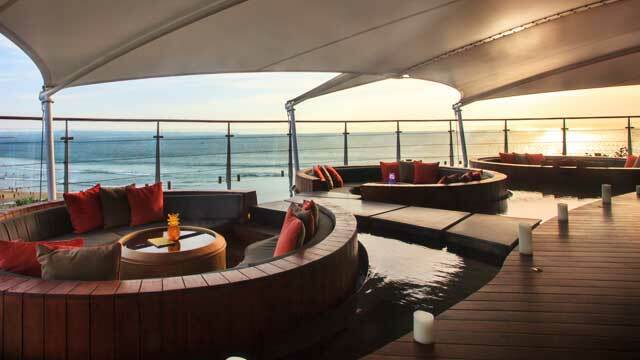 With its 1 700 square meters, the Rooftop Sunset Bar is the largest rooftop bar in Bali. Located at the Double-Six Luxury Hotel in Seminyak, it really lives up to its name, as the views you get over the Indian Ocean, especially around sunset, is out of this world. Best enjoyed from one of the luxurious floating lounge-pods at the edge of the terrace. 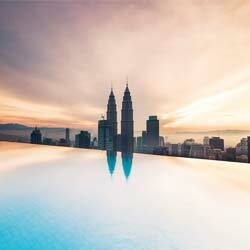 Here you can enjoy really tasty bar bites and dinner plates along with a large set of creative and well crafted signature cocktails, classy yet fun and relaxed vibes and a VJ playin hits from the 80-90's. A luxurious and modern rooftop terrace with a magical 360-degree view of Uluwatu Hills and the sunset over the Indian Ocean. Located on top of the equally unique RIMBA by AYANA Resort, about 15 minutes south of Jimbaran Bay. Both rooftop bar and restaurant, UNIQUE serves delicious Mexican food along with a set of Tequila Specialties, other well crafted cocktails, beer on draught and a large selection of red and whites. Chic pool club feel during the day (very much helped by the awesome 25-meter rooftop infinity pool) and relaxing cocktail lounge vibes towards the night. The fabulous hotel U Paasha Seminyak Bali comes with a large wooden deck roof terrace, equipped with a giant swimming pool, comfortable sun loungers, large bean bags along with dining tables and bar stools. 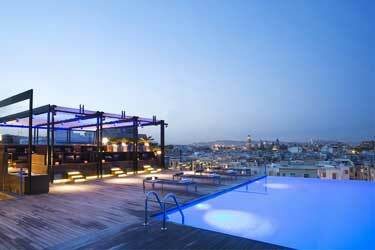 While the pool is only open for hotel guests, the rooftop bar / restaurant is open to all. Enjoy a mix of local cuisine and more classic international pool side fare, an all-you-can-eat buffet three times a week, signature and tropical cocktails along with alot of more healthy choices from the juice bar. All in a relaxing setting with a sunset view to die for. 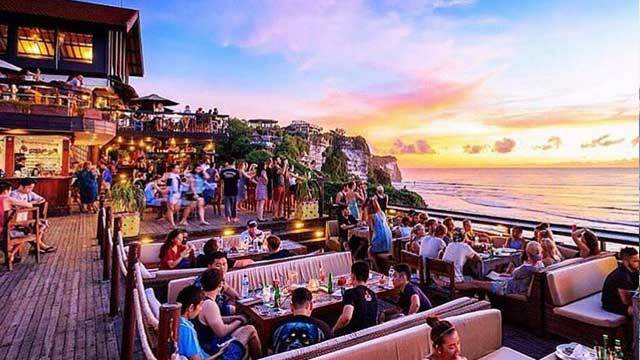 Maybe more towards a cliffside bar then a rooftop bar, but with a multi level terrace along with absolutely magical views over the Indian Ocean, there is nothing wrong with calling Single Fin one of the best rooftop bar Bali has to offer. Located on the cliffs of Uluwatu and most famous as a spot looking at surfers catching the last waves while the sun sets beautifully in the ocean. But open for both lunch and dinner, serving a large range of great food an drinks, you can visit this highly popular place day and night and enjoy the vibrant, fun and chilled vibe. 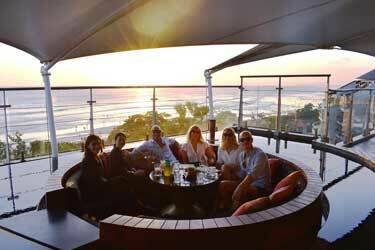 One of few places offering upper level sunset views of the famous Jimbaran Bay. 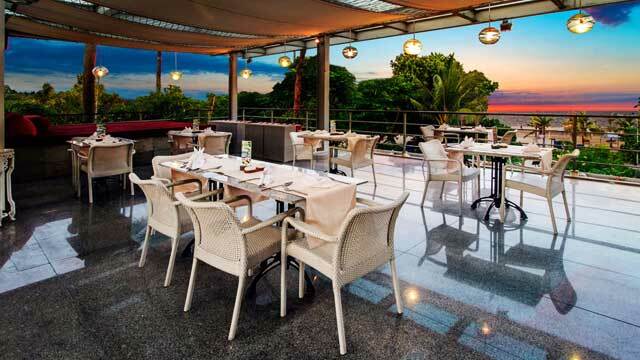 Located at the five star Le Meridien Bali Jimbaran Resort, right behind the stretch of popular BBQ seafood cafes, which is where the name Smoqee Lounge comes from. Both a colorful indoor lounge and a modern, open-air sky bar, offering great views over the beach and out towards the ocean. The terrace comes with a unique water deck feature, a laid-back vibe and comfy loungers. 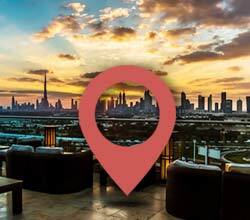 Enjoy fantastic and well crafted signature cocktails, best enjoyed in a comfy lounger watching the sun set. Both a lovely restaurant and rooftop bar, located at the charming Camakila Legian Bali Resort, right between Kuta and Seminyak. Tao Beach House comes with both dining seating on the ground floor terrace by the hotel pool, and in large and cosy lounge sofas up on the rooftop terrace, overlooking the pool, Legian Beach and out towards the ocean. 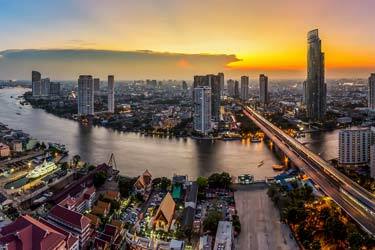 Here you can enjoy tasty South East Asian cuisine from an á la carte menu, and sometimes as BBQ buffet, along with refreshing cocktails and drinks. All in a very relaxing and romantic atmosphere. Kopi Langit (meaning "coffee heaven") is a cozy and relaxed Bali rooftop bar located on the roof of Umalas Hotel & Residence, a bit outside of Seminyak. 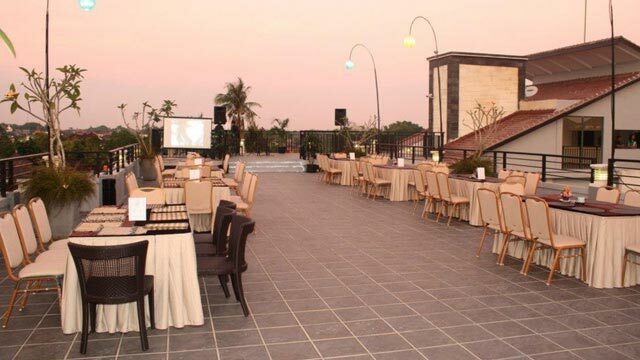 The terrace is very open air and the view is panoramic, however not over the ocean, but instead over the rice fields and the rural surroundings. As the name indicates the rooftop bar serves all kinds of coofee. 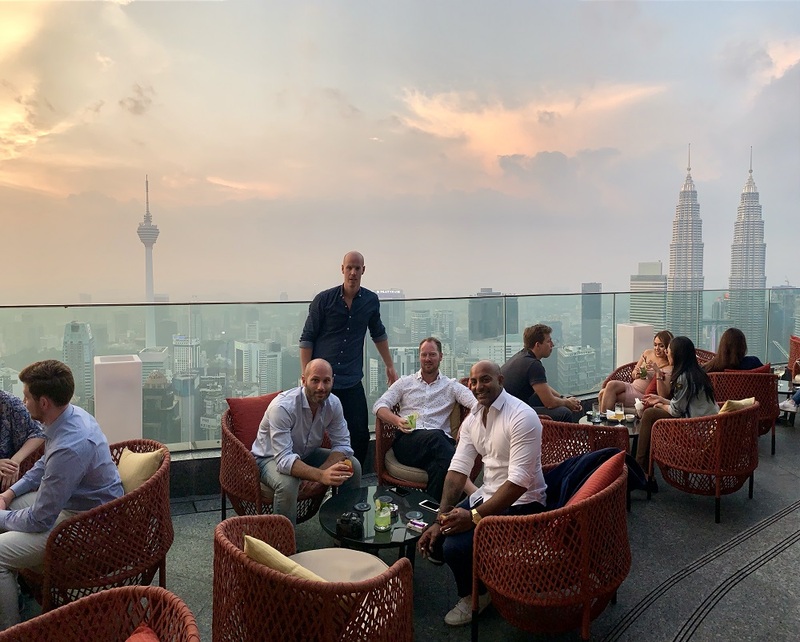 But there is also a wide range of cocktails, both international and local wine and a full food menu with a mix of Asian and European cuisine. Expect a calm and quiet ambience. Discover the biggest collection of Bali activities, guided tours and skip-the-line tickets. Anything you want you'll find right here. The proximity to the equator means that Balis climate is tropical with warm weather all year round. As a result of this, the terraces here can stay open all year arround. The interior is often quite stylish and luxurious yet with a comfortable and relaxed atmosphere. All in classic Bali-style. You're not allowed to build higher buildings than the palmtrees in Bali, but despite this there are some really cool places to drink woth a view on this beautiful island. For more indept info about Bali, read more here. Bali is a province in the country of Indonesia. 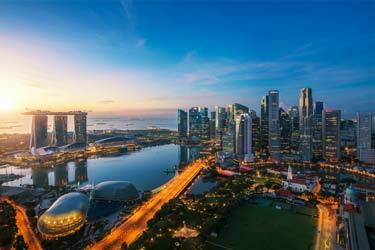 The capital is Denpasar and is located on the southern part of the island. 84% of the population in Bali are Hindus compared to that 87% in Indonesia are Muslims. 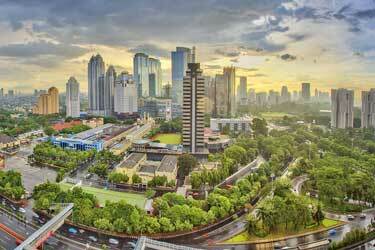 Bali mainly lives on its tourism and this is a very popular destination for Australians. 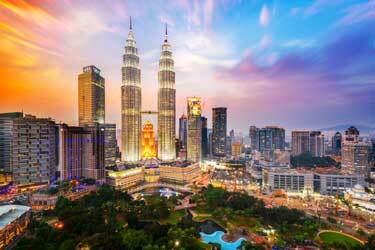 Its economy is mainly based on tourism, but also agriculture and fishing are major sources of income.